As an investment bankerWhat do Investment Bankers do?What do Investment Bankers do? Investment bankers can work 100 hours a week performing research, financial modeling & building presentations. Although it features some of the most coveted and financially rewarding positions in the banking industry, investment banking is also one of the most challenging and difficult career paths, Guide to IB in the mergers and acquisitions space, there are two things that one does: one is to pitch their bank to prospective clients and get business from them by engaging in the buy or sell-side M&A and another is to execute the deals given by these clients. The objective of the banker in sell-side M&A is to sell the target company for the highest possible valuationValuation MethodsWhen valuing a company as a going concern there are three main valuation methods used: DCF analysis, comparable companies, and precedent transactions. These methods of valuation are used in investment banking, equity research, private equity, corporate development, mergers & acquisitions, leveraged buyouts and finance, as this is what the company pays bankers to do. Moreover, the banker’s commission is also dependent on the same, which ranges from 1% to 2% of the sale value. Bankers prepare the teaserInvestment TeaserAn Investment Teaser is a one- or two-page professional document that is used to introduce an acquisition or investment opportunity to strategic or financial buyers. The teaser is the most important document in a transaction process as it is the first document that prospective buyers see document, which provides the major highlights of the business, including the financials. It also includes the investment rationale and unique selling proposition (USP) of the company. However, it doesn’t disclose the identity of the target company. The banker tries to reach out to strategic investors who are in a similar business or even to private equity players who might be interested in the business. The objective is to maximize the number of participants, so that the more competitive it becomes, the better valuation that can be achieved. After looking at the teaser document, if the potential buyer feels interested in the business, they would definitely like to receive more information about the company. In such a scenario, the seller makes sure that the potential buyer signs the Non Disclosure Agreement (NDA)Non Disclosure Agreement (NDA)A Non Disclosure Agreement (NDA) is a document that is exchanged between a prospective buyer and a seller in the initial stages of an M&A transaction. The document is exchanged after the prospective buyer shows interest in a company after looking at the teaser of the target. The objective of an NDA is to clause so that they do not misuse information disclosed to them. The NDA clause also restricts the potential buyer from soliciting the seller’s employees, customers, etc. Generally, the terms and conditions of the NDA vary from company to company in sell-side M&A. It is the responsibility of the banker to negotiate the same and make it favorable from the seller’s point of view. The Confidentiality Information Memorandum (CIM)CIM - Confidential Information MemorandumA Confidential Information Memorandum (CIM) is a document used in M&A to convey important information in a sale process. Guide, examples, and template contains confidential information about the company. This document allows the potential buyer to understand the target in depth and decide whether they would like to buy the business or not. They also decide on the valuation of the company by looking at the same. The CIM contains information such as an industry overview, company profile, financial statements, revenue profile, employee profile, products and service offerings, office locations, management structure, key customers, competitive strength, investment rationale, etc. The role of the sell-side M&A banker is to prepare a complete CIM and make the company look attractive. The banker also develops their own operating model and does a complete valuation of the business. The objective of doing this is not to share with anyone, but to use it as a backup in case the question of valuation arises. It also helps the bankers understand the valuation range which they may receive from potential buyers. Once the potential buyer values the target company, they share the Expression of Interest (EOI)Expression of Interest (EOI)An Expression of Interest (EOI) is one of the initial transaction documents shared by the buyer with the seller in a potential M&A deal. The EOI indicates a serious interest from the buyer that their company would be interested to pay a certain valuation and acquire the seller’s company through a formal offer. with the bankers. Sell-side M&A bankers receive the EOI from various potential buyers with their valuation quote. Once a quote is received by the bankers, they discuss it with the seller’s management and invite the top bidders (generally 4-5 companies) for the next round. It is very important for the buyer to conduct due diligenceDue DiligenceDue diligence is a process of verification, investigation, or audit of a potential deal or investment opportunity to confirm all facts, financial information, and to verify anything else that was brought up during an M&A deal or investment process. Due diligence is completed before a deal closes and satisfy themselves regarding the capabilities of the company, the financials, and legal contracts. The bankers upload all kind of data for the potential buyers to verify and discuss. Data uploaded varies on matters relating to Corporate Information, Employees, Material Agreements, Service Agreements, Financials, Tax, Regulatory issues, IT & System Management, etc. If the buyer is looking for any specific set of data points, it sends a request to the sell-side MA& banker in a specific format. The banker coordinates with the seller and uploads the requested information. When the data room (a virtual space for housing and exchanging data) opens, there are lots of findings and analysis which the potential buyer would like to discuss with the seller. To make the meetings effective, the banker arranges calls and face-to-face meetings with the senior management of both the buyer and seller with a pre-defined agenda. 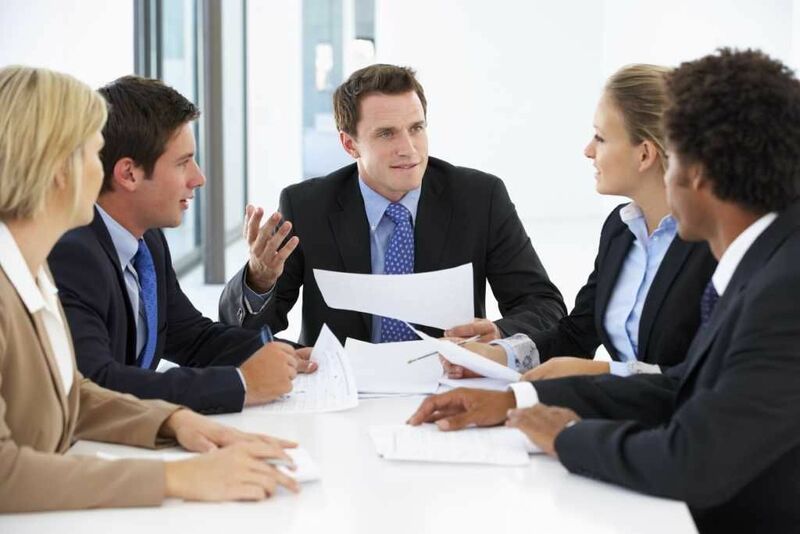 The meetings organized by the banker help in clearing possible doubts by the potential buyer. It also helps in building a relationship with the management. In case the nature of the transaction is sell-side M&A, the seller may not visit the buyer’s facility, but in a case where it is a kind of outsourcing contract, carve-out of a division wherein the seller continues to be a customer to the buyer, they may like to see their capabilities. The banker makes sure that his client, the seller, is satisfied regarding the buyer. One of the very important tasks of the banker is to negotiate with the potential buyer and maximize the valuation of the company. The banker arranges calls and meetings with the buyer and discusses various adjustments that should be done regarding the valuation. Needless to say, he acts from the seller’s point of view and pushes a higher valuation. Once the negotiation is done and a consensus decision about the valuation and other key parameters is reached, companies sign the definitive agreementDefinitive Purchase AgreementA Definitive Purchase Agreement (DPA) is a legal document that records the terms and conditions between two companies that enter into an agreement for a merger, acquisition, divestiture, joint venture or some form of strategic alliance. It is a mutually binding contract, which is prepared by the lawyers. The role of the sell-side M&A banker is to look for the purchase price, with a special focus on working capital requirements. As far as legal clauses are considered, the bank may form a legal team to advise the sellers or the sellers may hire a law firm from outside to assist with the agreement. Once the definitive agreement is signed, the buyer and seller may need to get approval from various regulatory bodies. In order to finalize the deal as soon as possible, the banker acts as an intermediary and gets all the necessary documents exchanged between all concerned parties.